The Castello d'Albola estate consists of the highest located vineyard in Radda in Chianti, where vine cultivation dates back to the 12th century. The Zonin family acquired it in the 1970's and after massive investments, it became the most advanced winery in the region and the flagship estate of the family. 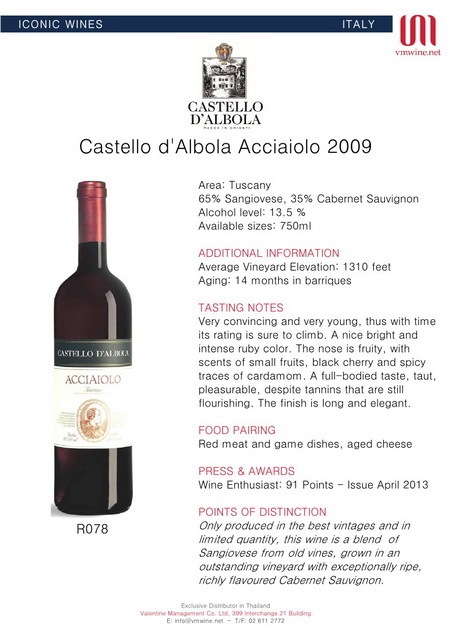 Wine Spectator's most exciting Top 100 wines of the year include Albola, saying: "This is how Chianti should taste!"